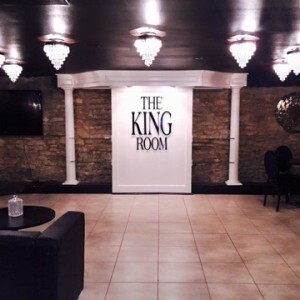 NOTE: The KING Room is now closed. Located in the classy Red Brick District (corner of Lazelle & Main, lower level of the Sidebar Restaurant), The KING Room showcases diverse live entertainment, paired with a full line of high-end adult beverages, in an intimate sophisticated atmosphere, perfect for relaxing and unplugging from the rigors of professional life. Designed for persons with discerning taste, The KING Room aims to create the type of memorable experience that will bring you back time and time again.